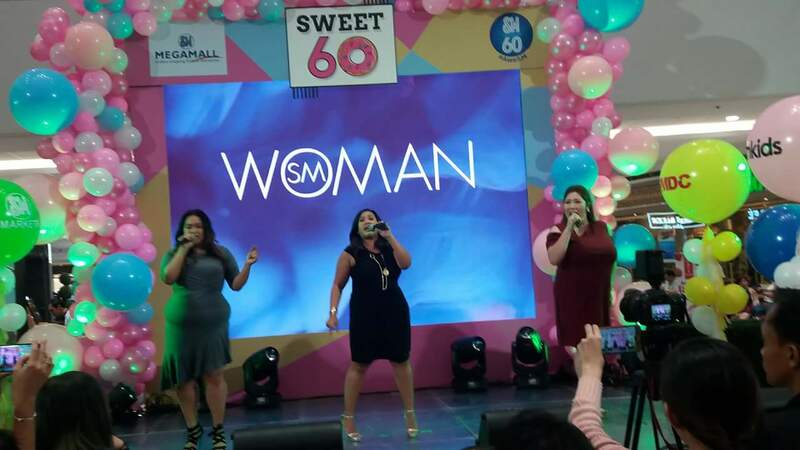 SM celebrates six decades with its #AweSM Sweet 60 Weekend Party at SM Megamall. The sweet 60 area features an interactuve play experience, where shoppers can have fun in a fantastic wonderland of colors. 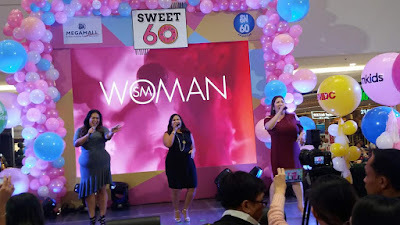 The #AweSM Sweet 60 Weekend Party is literally an instagram haven, where customers and guests can splurge on sweet treats, visual delights,and fun deals! 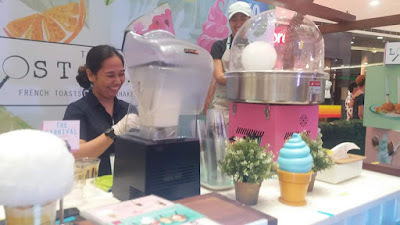 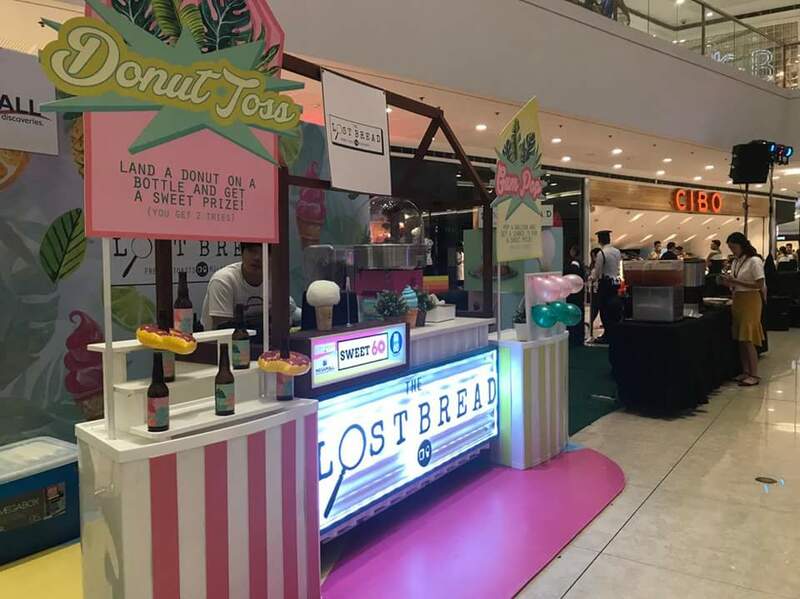 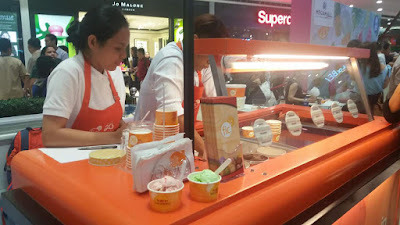 In partnership with Boysen, Fruits Ice Cream, The Dessert Museum, and the Lost Bread, loyal customers can indulge in activities at these stations and snap photos. 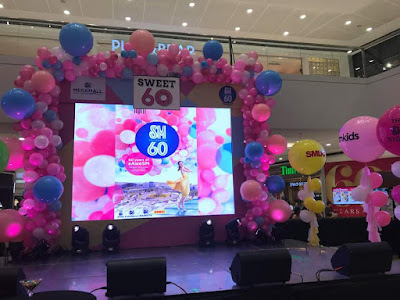 “For six decades, SM has become part of the lives of every Filipino family – from a kid choosing his first pair of school shoes at The SM Store, spending your first paycheck on groceries at SM Markets to treat mom and dad, SMDC enabling a young couple to acquire a home of their own, to sharing a fun weekend with the whole family at SM Supermalls,” says Steven Tan, SM Supermalls’ Chief Operating Officer. 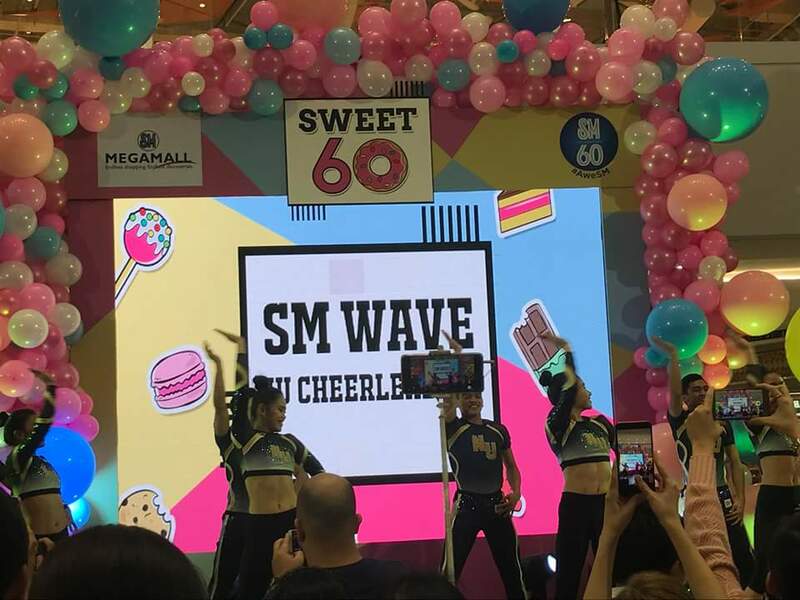 The NU Pep Squad danced and strut their moves to SM's "We've Got It All Jingle", sang by Ramonne Rodriguez of The Voice. Next, the SM Woman Divas' Radha, Bituin Escalante and Frenchie Dy showed off their #AweSM singing prowess. 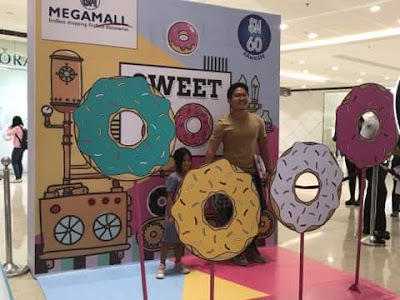 The Sweet 60 activity area will be at the Mega Fashion Hall until May 28. Do drop by SWEET 60 at SM Megamall and show your receipt with a minimum spend of P 1,500 from any SM Megamall shop or restaurant. 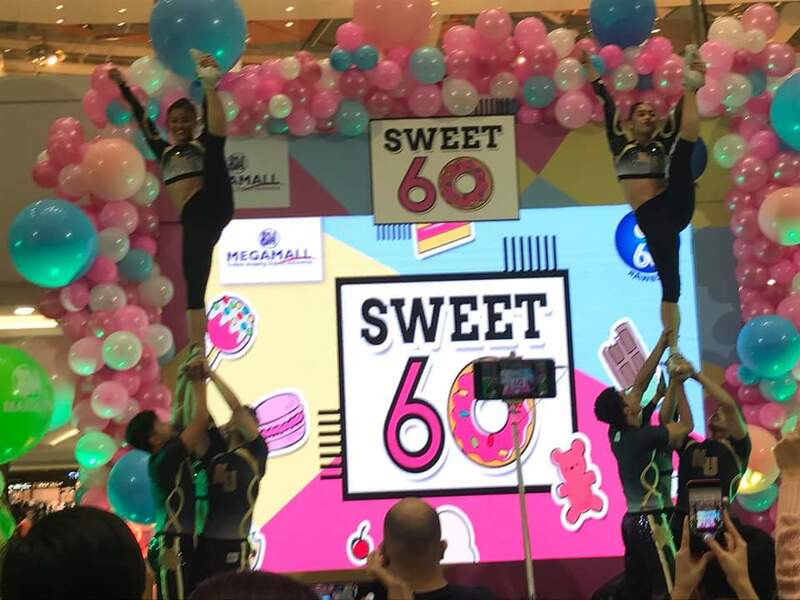 To top it all, customers can indulge in fun summer eats and enjoy promos that celebrate the number 60- Pay only P60, Pay P60 less, or Pay only 60%! 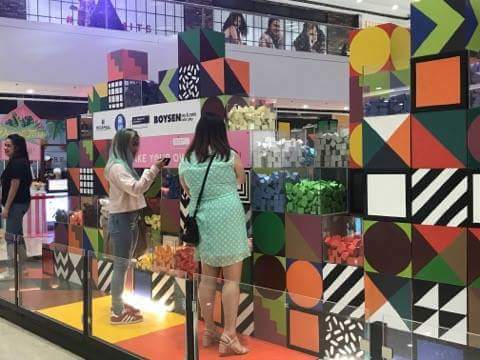 Do watch out for the next leg of the Popup schedule at Mega come May 29 - June 3, 2018. 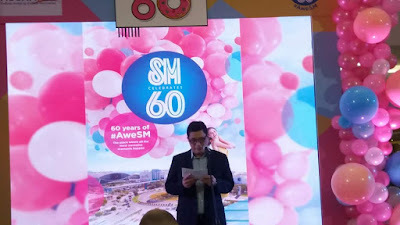 Visit SM Supermalls Facebook page for more info about #AweSM 60 years.